Srinagar : A US-made M4 rife has been recovered from the bodies of two Jaish-e-Mohammed terrorists killed by security forces during a gunfight in Jammu and Kashmir’s Budgam district on Friday, a top security official said. 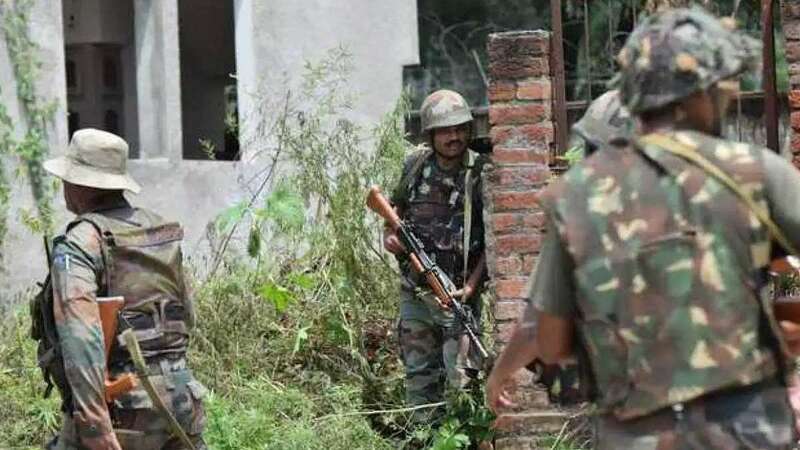 The operation was part of the crackdown by the security establishment after the February 14 Pulwama bombing that killed 40 CRPF soldiers and was followed by the Indian Air Force Air Strike at a massive Jaish camp in Balakot across the border. In last 24 hours, 6 top terrorists have been killed and one has been arrested in the Jammu and Kahsmir. Since Pulwama Attack, a total of 30 soldiers have been martyred till date. The seizure of the American rifle, the senior official cited above said, again establishes a link between the terror group and elements within the Pakistan Army and its Special Forces. This is the second time the security forces have recovered a M4 rifle in the Jammu and Kashmir Area in last six months. The first occasion when security forces found an M4 carbine from a terrorist in Kashmir was in September 2017 when security forces found the US-made firearm after the encounter involving another nephew of Masood Azhar, Talha Rashid.